The first time I got to know Millie was during my first year graduate school, when I went to an APS march meeting in Los Angeles and sat at the back corner of a session on carbon nanotubes. I remember seeing her chair the session, and I was told that she was a famous MIT Institute Professor. I had never thought I would have the opportunity working with her in my later years. For someone like myself, who grew up in a foreign country and had never studied in MIT (nor ever stayed in Boston), the prospect of getting settled in and starting a faculty position at MIT might have been a very daunting challenge. However, the warmth of Millie’s welcome and help made my transition quite a memorable and pleasant experience. I started my first semester using one of Millie’s student offices. I enjoyed mingling with her group members and was really glad to get to know her husband, Gene. Gene’s incredible sense of humor brought us all so much laughter and made me felt right at home. I learned that after Gene’s retirement, Millie invited him to work in her group half-time, which means 12 hours per day from 5 AM to 5 PM. 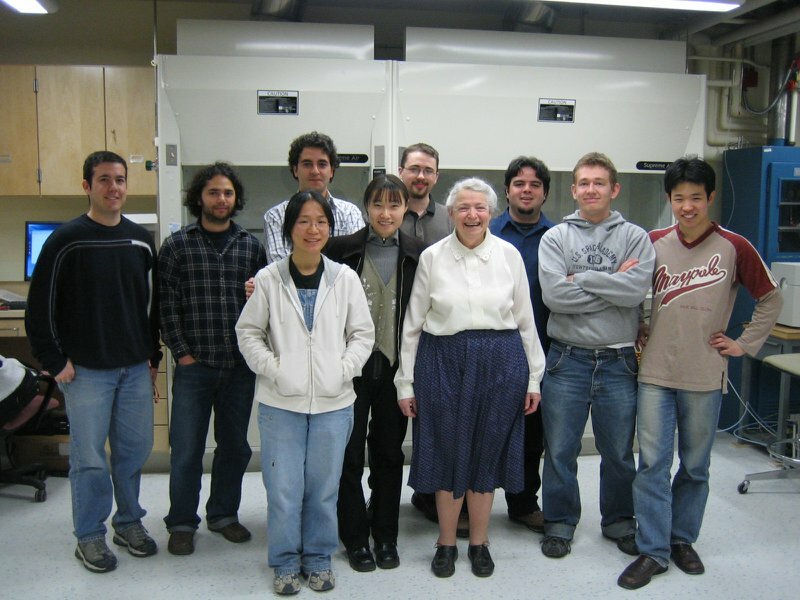 Millie shared not only her offices with me, but also her lab, her students (2 of hers became mine during my first year), and her collaborators (she introduced each one to me whenever they visited.) For someone like me, who was not yet ready to be independent, becoming one of Millie’s group members was the best start I could have imagined, and it launched me into a successful and very satisfying career. Millie always taught and influenced us by example. In thesis committee meetings, Millie always made sure to read through the whole thesis, word by word, and give comments on all of it, including the references, even though I have no idea where she found the time to do this! I enjoyed attending conferences together with Millie, and we always shared a hotel room together. I watched her taking notes in each talk and then giving the summary presentation at the end — a daunting and difficult challenge! Millie was constantly suggesting new research ideas to me, but she never asked for any credit when these ideas bore fruit. I was also so touched by how she found students who had difficulty fitting in at MIT, made them part of her group, and gave them a new start. Very often, after discussions in faculty lunch meeting, she came up with thoughtful suggestions and sent them to our department leaders. Overall, Millie set a high standard for herself and always strove to give her best effort whenever she saw help was needed. While this journey may seem short, it is, in fact, life-long. Though we are now without Millie’s physical presence, her enthusiasm, her encouragement, her smile, and her impact are always here with us. 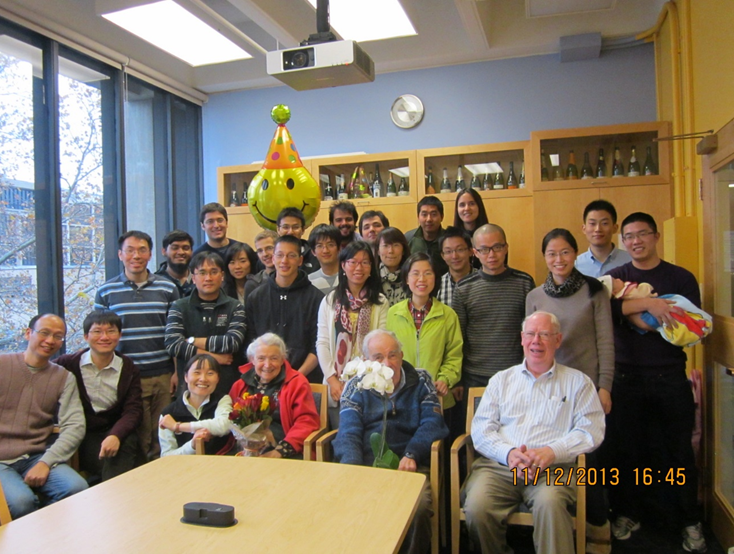 Millie, Jing, and their students in the lab. Millie was on my thesis committee. When I was writing my thesis, she had a lot of conferences lined up, so she suggested sending her the draft chapter by chapter so that she could read them at the airport and know the content before our committee meeting. Even though she was so busy, she would give me the edited chapters in just 2-3 days. She would also spot even the tiniest mistakes, such as the subscript of a variable in an equation. Millie told me that a thesis is like a person's face, because it’s where the scientific community goes to get their first impression of a person. She said, "If someone wants to know what you did for your PhD, they will probably look at your thesis first. And I want to make sure that it looks good to others, so they will have a good impression of you." Millie always made herself accessible to students, and she was always happy to help others. She would come to her students’ offices, door by door, to check if we were doing okay and to let us know what interesting things she had been working on lately. I am so grateful that I had the opportunity to work with her. I will try to honor her memory by working hard, being optimistic, and seeing the best in people. I still remember the first few months after I’d joined Millie’s group. I was eager to start new projects — urgently! But every time I met with Millie, Millie’s advice was, “You are here only for ** months. Spend some time chatting with the people around here, to see what they are doing. See how you can contribute.” I took her advice and talked to many people nearby. I realized that this was the best advice she could give me, because it was so amazingly helpful for my future work. Not only did I get to know the people around me and what they were researching, I also got to learn about their work style. Many of these people later became great friends of mine. I got the chance to learn so many different things from those around me, and I later applied all that I’d learned to my research. Millie also liked sharing. As many of us know, every talk Millie went to, she sat attentively and took notes. I remember going with her to the NT14 conference in LA, where we shared a hotel room. Every night, after we went back to the hotel, Millie would take out her notes, look them over, talk to me about all the things she’d learned that day, and would then sit down and write a summary about the talks given on that day. As she did so, she mentioned to me that she was hoping to share her summary with one of her colleagues who did not have the chance to attend the meeting. 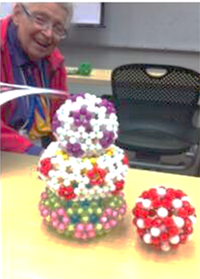 She was always passionate about introducing exciting concepts/materials to us. When black phosphorus was introduced as two-dimensional material, she told me, “I think this material is very interesting. Look at its structure…. It will become hot, soon. You should pay attention to this material and see what you can contribute.” Then, we started a great experience working on black phosphorus. After coming back from the IPS conconference in East Lancing, which was the first meeting on black phosphorus, Millie became even more excited. I didn’t think that was possible! She began to introduce this material to everybody she saw walking down the hallway at MIT. And although she was very busy, she was always methodical, and she was never stingy to spend time talking with me. We spent many Sunday mornings sitting in her office, discussing science while enjoying the beautiful sunlight streaming through the windows in her office. We talked both as scientists and as friends. She gave me advice as grandma. Those unforgettable moments with Millie made me absolutely certain that I want to spend the rest of my life working in science. 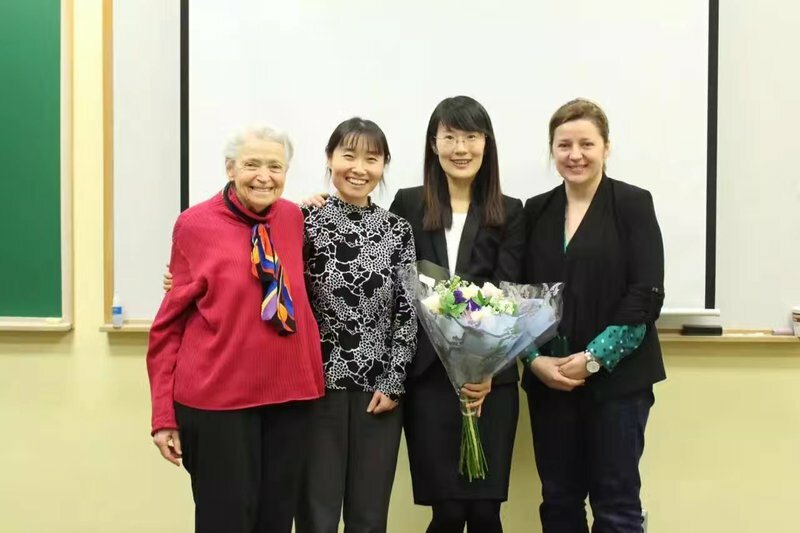 In addition, as Millie shared her story and explained how she, as a female scientist, had managed to balance life and work, she strongly encouraged me to pursue my career in academia. 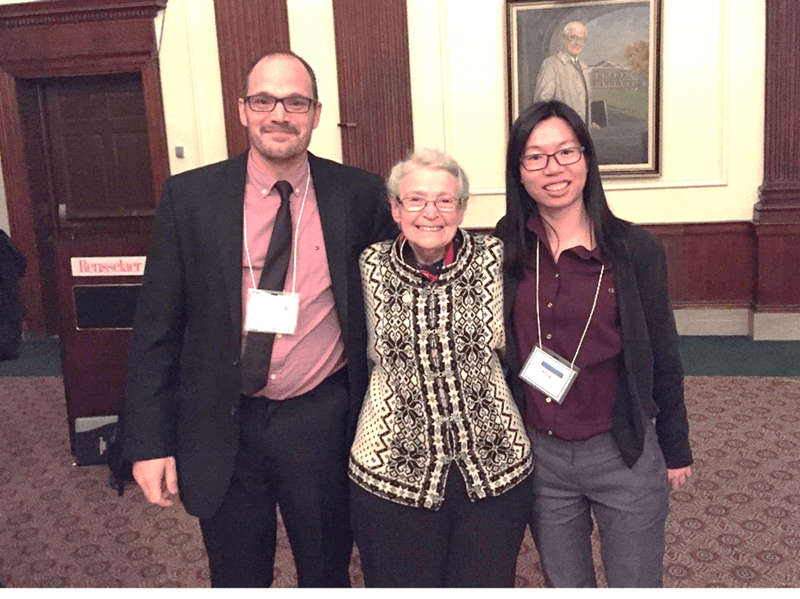 She gave me lots of advice on how to supervise students and how to teach, and she even gave me opportunities to work with her graduate students.